The American Civil Liberties Union (ACLU) today announced a settlement in a landmark lawsuit against two psychologists behind a CIA torture programme. A trial before a jury was scheduled to begin on 5 September, despite multiple attempts to have the case dismissed by the defendants. The ACLU brought the lawsuit on behalf of Suleiman Abdullah Salim, Mohamed Ahmed Ben Soud, and the family of Gul Rahman, who froze to death in a secret CIA prison. The men were “tortured and experimented on” using torture methods developed by the psychologists, James Mitchell and John “Bruce” Jessen, contracted by the CIA. This is the first such case to succeed to a settlement stage, and the details of the settlement agreement are confidential. In the past, all attempts at holding people accountable for CIA torture programmes have been dismissed at early stages by the US government’s Justice Department arguing that legal cases would lead to “state secrets” being revealed. The full details of the case have been published on the ACLU’s website. 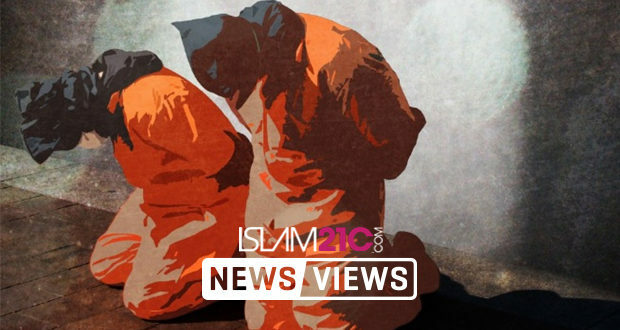 Is BBC’s Panorama Normalising Torture?